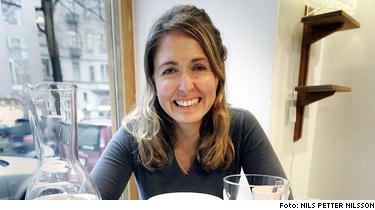 Marie-Louise Hellgren is a Swedish designer with a very strong focus on sustainability. Her products are sold all over the world. Hellgrens design is all about bringing mindfulness into our everyday lives, by the beauty, simplicity and vibrating energy her products radiate. She works with a variety of products and materials. The result is always pratical and has the ambiton to enhaunce our everyday life and bring us closer to the ”now”. Marie-Louises Hellgrens creativity rests firmly upon the respect for nature, which in Sweden is manifested by ”Allemansrätten” – a law that grants public access to nature. It also rests on the Swedish tradition to set tables, enjoy eachothers company and to cherish tradition and ceremonies. Travelling around the world throughout uninhabited places such as Tasmania, Peru and Iceland has enabled Marie-Louise Hellgren to engage with the Heart of the Earth at a deeper level. She transmitts this profound connection to her products. Hellgren works with both large international companies and smaller local actors. Since she is so versatile, both in material and type of products, her skills can be applied in anything from a design of a cup to large conceptual assignments. Her work is a reminder of what is truly important. Not the quick fix, the trendy wear and tear, but the spirit of our lives.